BRASH! Magazine developed the BRASHION! segment to celebrate indie designers, models, photographers and other professionals in the fashion industry. Check out these articles to learn more about what's hot, what's trending, and who's making NOISE in style! Read our BRASHION! section in the Spring '19 Issue OUT NOW! We’ve been following fashion designer, Jason C Peters, on his fashion tour for the PaperDoll Collection. Making BOLD fashion statements with unique designs, Peters is showing the industry and society as a whole, that he’s not stopping until the message are loud and clear. Read More. This September 2018, Internationally known Fashion Designer, Actor, and Author Stevie Boi will present his latest collection “PINK” as he host his own show during NYFW. Read More. The hot summer season is a great time to be your fashionable best. After all, what better way to beat the blazing blues than to look summer-ready and chic. Read More. Ladies, it has been a hot minute since the last time I did a ‘What In My Makeup Bag’ post. In the spirit of summer, I decided that now would be a great time to take a peek into my daily kit – and bring you along with me. Read More. As the weather changes and we slip into sunny Spring after a chilling Winter, wardrobe rearrangement is in order. The warmer clothes need to be pushed to the farther nooks and crannies; lighter, brighter clothes need to come forth! Read More. We got an exclusive look at his F/W ’18 Collection, PINK, which included signature Stevie Boi styles with a variety of exquisite garments coming down the runway. Read More. Winter might be ending soon, but the nip in the air is still making it the perfect weather to adorn some cool bright jumpers in style. Read More. 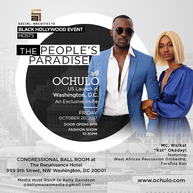 Nigerian based fashion and lifestyle brand, Ochula, was founded by Joe Philip Nzewunwah and co-founded by Nwaji Jibunoh. This platform was developed to highlight African fashion by bringing them to the forefront globally. Read More. Omega The Poet is an up & coming recording artist, photographer, graphic designer & CEO of his own clothing line, Olé & Company. Read More. Style Fashion Week will be making the move to the Intrepid Sea, Air & Space Museum to host its Fashion Week Events this season in New York City, September 7th, 8th and 9th. Read More. On June 4, 2017 BRASH! had the pleasure of attending the Independent Designer Show from Walk Fashion Show ATL Edition. ​Read More. Morton’s creative drive inspired her to create Madison Creative, service provide and platform for fashion in Australia. Read More. Gillian McKeith and Madeline Stuart support Fashions Finest' Ethos of Fashion & Inclusivity during London Fashion Week. ​Read More. Style Fashion Week Brings LA’s Top Influencer Designers to the New York Runway - Matte Brand, Adriana Sahar & More. ​Read More. Lessons from FashionForRoyals: How to Create Your Own Stunning Summer Look. Summertime and vacationing are a match made in heaven. This divine combination is may be responsible for our overstuffed wardrobes. Read More. ​Summertime calls for a wardrobe spruce up, and one of my favourite ways to add some new magic to my style without spending a bomb, is to invest in new statement sandals and shoes for the season. Read More. 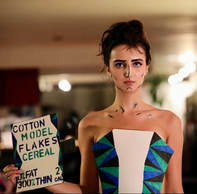 Celebrity Fashion Designer, Jason C Peters, has been using his major platform in the fashion industry to not only shine light on the gruesome parts going on within industry of style, but to spread awareness to social issues. Read More. Say Hello to Spring in Style. 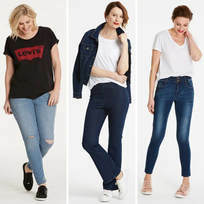 FashionForRoylas gives spring style ideas. Read More. 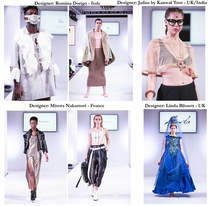 Star-support as Afton McKeith launches her line amongst emerging designers at Fashions Finest and celebrated the 6th Britain’s Top Designer Award-Winner. Read More. 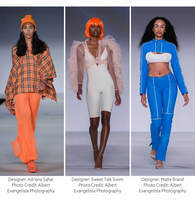 Style Fashion Week has been good to us in including our media brand as among the fold of press outlets to attend and catch a glimpse of the amazing designers and models hitting the runway. Read More. 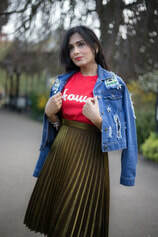 WINTER STYLE TIPS - FASHIONFORROYALS​FashionForRoyals creator, Archana Dhankar, is helping us stay prepared for the Winter. Prepare and stylish! Check out her tips for staying trendy and warm! Read More. ​​FashionForRoyals is getting you ready to bring in the New Year. Get a little inspiration for your outfit to hit the streets to celebrate 2018! Read More. 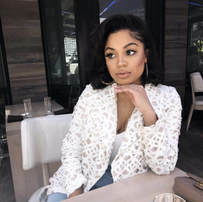 Howard University Alumnus’ International Fashion and Lifestyle Brand Makes U.S. Debut at Black Hollywood​. Eye wear and accessories designer, Stevie Boi, releases the preview of his S/S 18 editorial shoot with The Bernic NYC. ​Read More. Fashion designer, Jason C Peters is keeping the Paper Doll Collection on the move with his recent New York showcase introducing newer pieces to fashion lovers in the Big Apple. Read More. Derived from a sense of style, BlueRoc 7 Clothing gives its customers a fashionable brand along with indulgence. Read More. BOHO SEASON IS UPON US! bohofaux is getting everyone fashionably ready to gather to the stages in glitterized fashion. Read More. 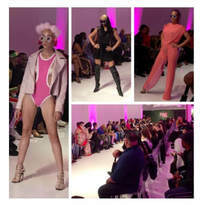 Fashion Show production company, Walk Fashion Show, is taking a tour hitting cities in the US AND going INTERNATIONAL. Read More. Style Fashion Week Produces Groundbreaking Event at Madison Square Garden. Read More. Apparel line, Electric Family, releases their holiday line spreading the message of peace and union for this upcoming holiday season. Read More. Walk Fashion Show’s Independent Designer Showcase. Sneak peek of some looks from the show. View Here. LANDEROS NEW YORK by Andre Landeros provided a unique, innovative, and fashion forward presentation of his 2016 Fall Collection “STRANGE NEW _ORK” during NYFW. ​Read More. We like to take a deep look into what happens behind the scenes of creating fashion designs. In this feature, we’re giving you an exclusive for Harriee Scribbles is a 19-year old fashion illustrator from London. Read More. Rapper/Producer Hal Miles (Uriyah) turned his single title, “Grind Pray”, into a lifestyle brand, Grind. Pray. Read More.